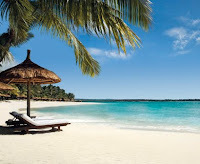 I promised that when my heroine would land in Mauritius, I'd bring you here too! Well, today's the day. 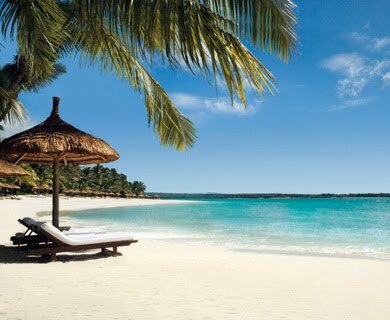 Everyone says Mauritius is a paradise on earth. Beautiful beaches, amazing scenery, rainbow nation where every culture/religion under the sun lives in harmony. But for all the pitfalls, I think life is well worth living here. To find out more of what I'm talking about, *hint, shameless hint* pick up my works! Most of you wouldn't know how the island even came about its existence. The place is a tiny speck of land in the Indian Ocean, south of the Equator, east of Africa and Madagascar. Discovered in the 16th century by Dutch sailors, who named it after their prince Moritz, the Dutch left somewhere in the 17th century, and the French took hold of the island (especially because of its proximity to then island colony Bourbon and still today French colony, Reunion Island). In 1810, the English made an out and out war bid for the Ile de France, as the place was known. Britain won, and Mauritius it was renamed. From the French settlers to the British governors (Catholics and Anglicans, amongst others); from the African slaves pre-1835 and the abolition of slavery, to the indentured Indian labour (Hindus & Muslims) brought to work the abandoned cane fields post-1835; from the Chinese, Tamil and Muslim tradesmen and craftsmen who came to the British colony in and towards the end of the 19th century, Mauritius ended up being peopled by every race and religion of the world. Attaining independence in 1968, and becoming a republic in 1992, Mauritius has built upon its foundation as colonies and brought its people together as a diverse and dynamic melting pot of what constitutes today the Mauritian people. I spent most of the morning on YouTube trying to find the perfect video to show you what my island is like and what it is about. I found this video that makes a perfect entree into the topic! The second shows more snapshots of the island. Check it out - this is what my heroine sees when takes a first glance from the plane, and this is what I want you to see too. Now, Mauritius is just not the same without its sounds! That's the sega, our local music. Derived from ancestral African tradition, with lyrics sung in the mother tongue of Creole, this is the sound and beat adopted by all Mauritians alike. The first and second videos are of the island, the third is the music. I couldn't find one that melded them well, so watch the second with the music of the third playing! Sadly, it's winter here too, though on the coasts you don't feel the bite of the cold so much.